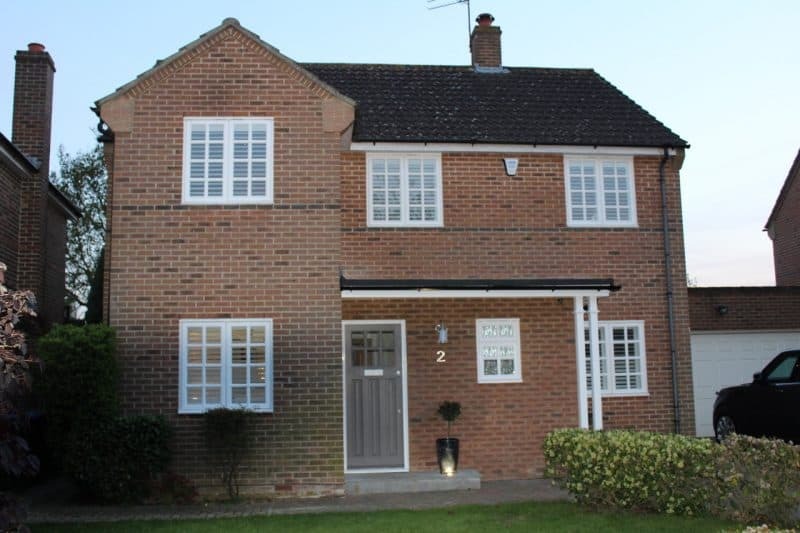 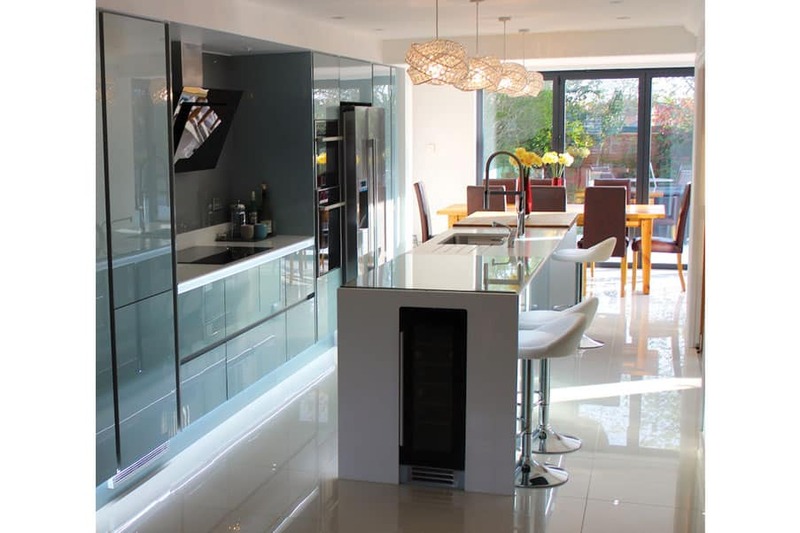 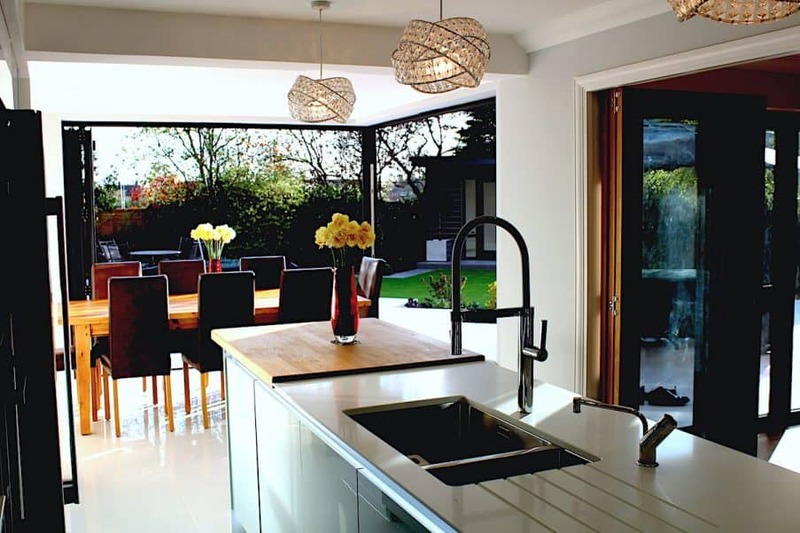 Extension with feature corner bifold doors, contemporary kitchen design and installation, underfloor heating, feature lighting throughout, bespoke furniture. 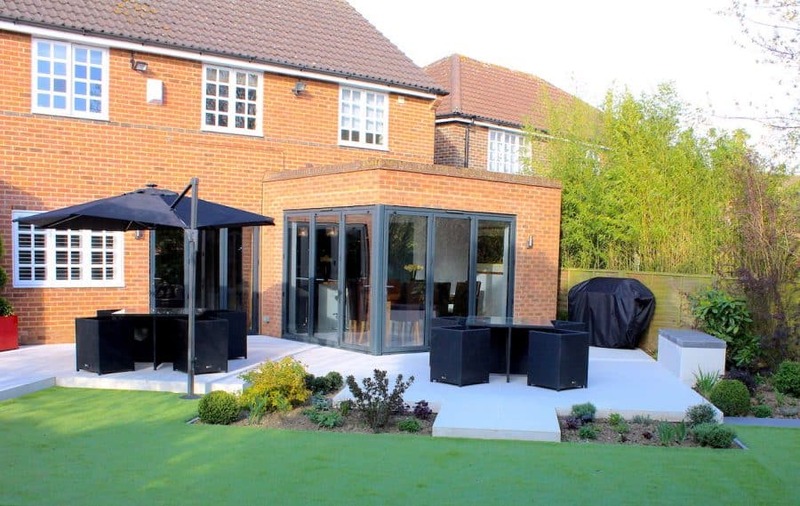 Relocatation and installation of bespoke glass staircase, remodel of bathrooms, supply and installation of internal bifold doors, garden design and installation with plants and planting, astro turf finish for all year round use, irrigation system, incorporating continious tiles from kitchen to patio. 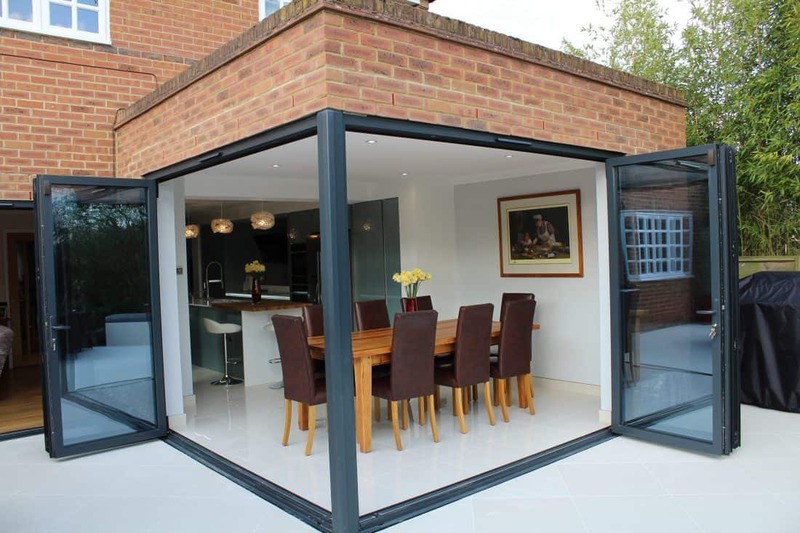 Bespoke contemorary summer house / office has been installed into the corner of the garden to maximise area.